Having recently discovered another friend with an interest in vintage, I was casting about for some suitably retro activity. Brighton is a great centre of vintage, second-hand, and retro stylings, and handy for those of us in London. Upon finding that one of the UK’s travelling vintage fairs was visiting last weekend, we made plans. 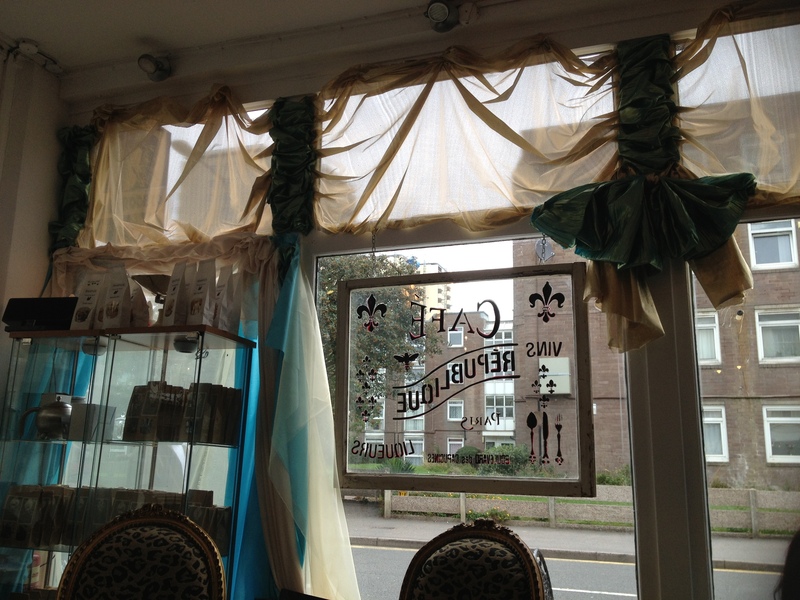 First up was a trip to Metrodeco, a 1930’s tea room in Upper St James Street. This is all the way out in Kemp Town (yes, where ladies sing their songs), so we very decadently got a cab from the station. Given that the weather was poor, and we had a small embuggied child, it was perhaps not such an extravagance. Although Metrodeco is a very smart place, with a strong vintage look and feel, most of the customers were just regular people, shoppers or people out for Sunday lunch. There’s no need to dress up for a visit, BUT that feeling of old school elegance is probably not as strong if you are in joggers. 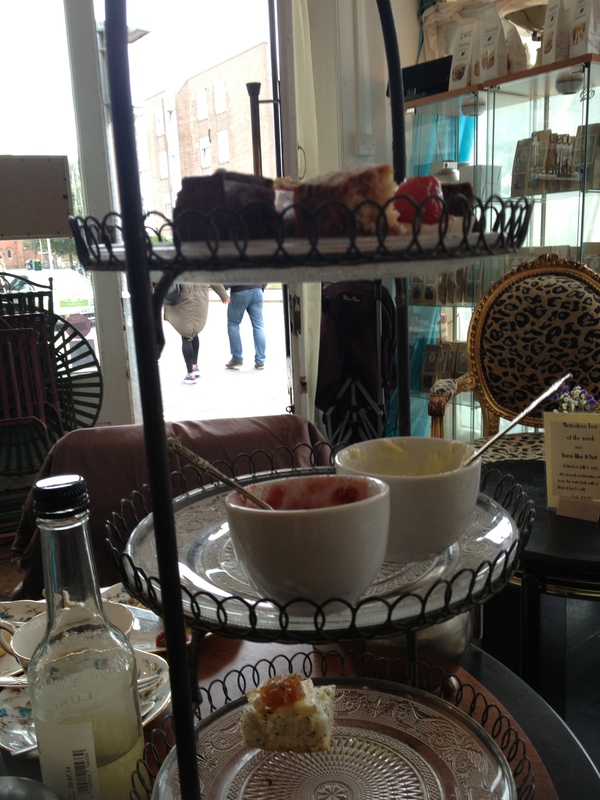 We had a very reasonably priced Afternoon Tea at £18 each, which included a speciality tea. My tastes are supremely conservative when it comes to food and drink, but a business trip to South Africa last year started a deep and burning love for rooibos tea – of which Metrodeco provides several varieties. I had a Terracotta Sunburst, which tasted exactly like rhubarb and custard – delish. The food was light and provided at a volume of ‘elegant sufficiency’ – this is not a place to go to fill up on cheap sandwiches and stodgy scones. 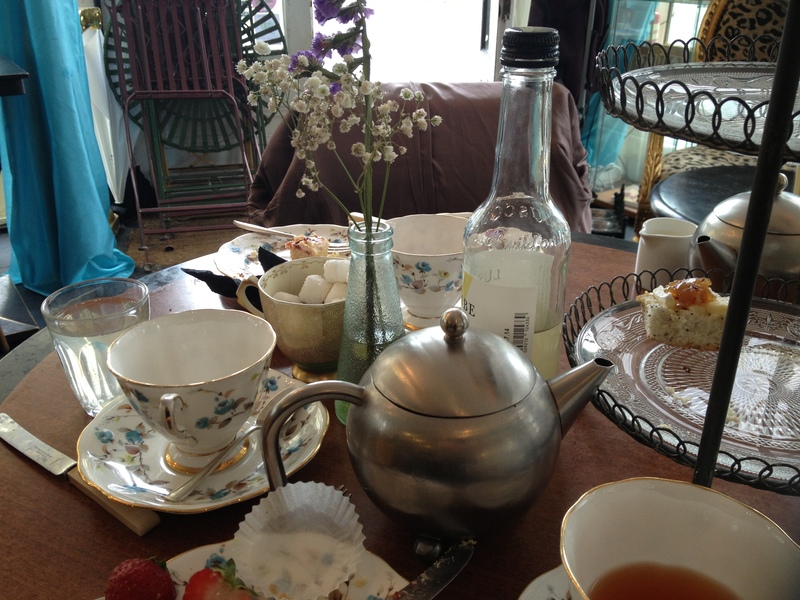 Instead, there were small pieces of topped artisan bread, two warm scones with excellent jam and thick cream, and a range of small cakes that could be eaten in two bites, including pink and blue macaroons. Replete, we then made our way to the Brighton Corn Exchange to empty our bank accounts. 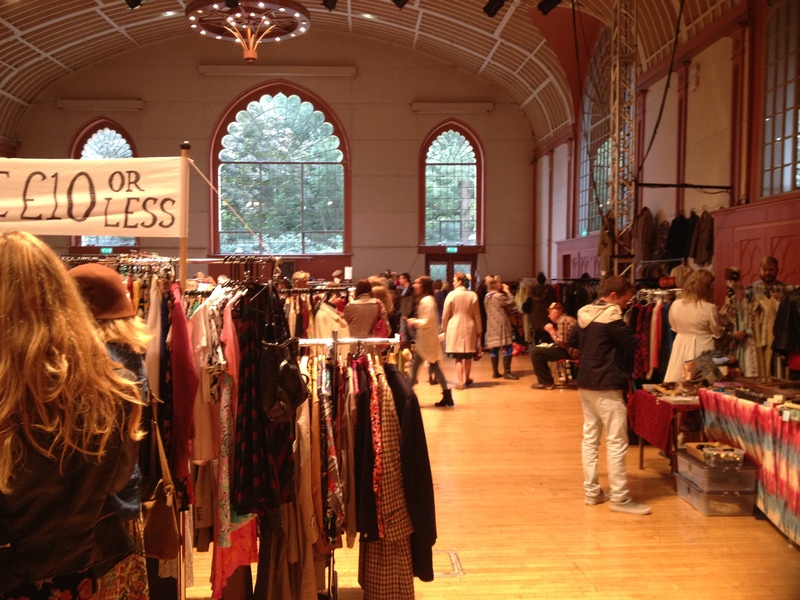 LouLou’s Vintage Fair is a travelling experience, combining shopping, eating, music, and events. As this was my first vintage fair (having previously limited my experience to shops and online suppliers), I was a bit unsure as to what to expect. In truth, I was worried the things to buy would be too expensive, that the place would be full of scary rockabillies with tattoos, and that I would look like a tourist. None of these things were remotely true. The prices were exactly what you would expect to pay in a ‘normal’ vintage shop, with clothes ranging from hundreds of pounds for a Christian Dior wedding dress from the 50s to £1 for a second hand scarf. 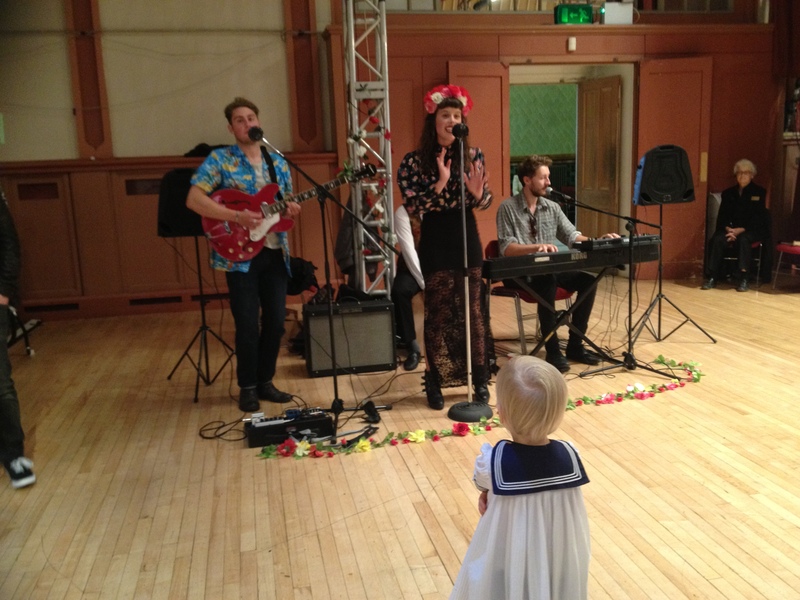 I spotted not a single scary rocker, but plenty of stylish people and people who love dressing up! I did not look a tourist. Scarves and accessories, especially jewellery. I got a small and beautiful brooch for £6, plus three square scarves for £2-£4 each. Fur of all kinds. I know the fur trade is deeply unpopular, but vintage furs can provide even the most ardent animal lover with an excuse to purchase some lovely coat or hat, without it pricking the conscience too much. Although I bought nothing at this fair, I do own a few vintage fur pieces, and I always wear them with pride that they are being cared for and admired, rather than mouldering in some forgotten wardrobe. After an hour or so, we felt we had enjoyed all the Fair had to offer, so after more cake (of course) we strolled back through North Laine to the station. A quick stop in Get Cutie to look at their sale rail and to buy a beautiful pinny made by Barbara Jones Retro made the day complete. I am a forty-something woman living near London, who loves clothes, gadgets, and beautiful things.